Our planet faces massive economic, social, and environmental challenges. To deal with these challenges, the United Nations has promoted 17 Sustainable Development Goals (SDGs) to define global priorities and aspirations for 2030, and Governments worldwide have already agreed on these goals. In order to approach them practically, private and public organizations have to contribute to make SDGs happen by identifying and executing sustainable strategies as key drivers of their visions and business models. Building on the emerging concept of Integrated Thinking (IT), this book explores how modern organizations can leverage a long-term integrated strategy to reconcile financial stability with social and environmental sustainability and create enduring value for all stakeholders. By focusing on the value-creating role of business organizations in delivering on the promise of sustainable and inclusive development, the book enriches the debate on Integrated Thinking and Integrated Reporting (IR), with particular emphasis on the value creation process. 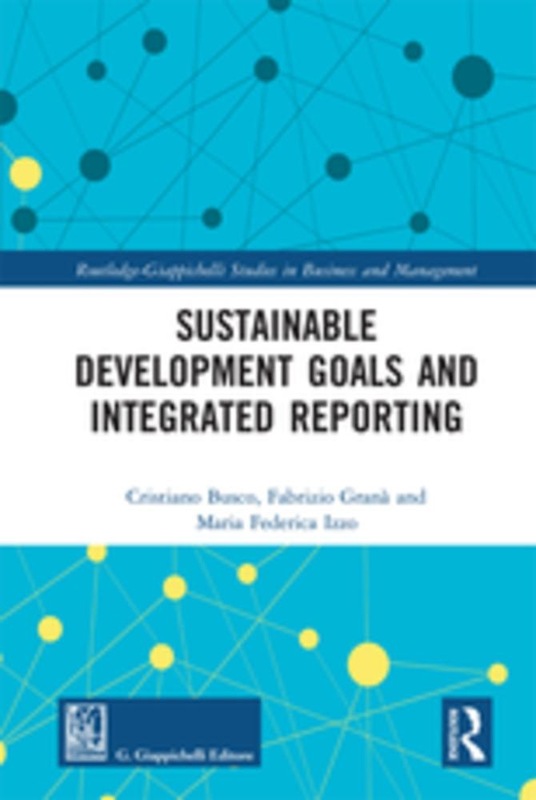 This book offers an opportunity to discuss the way in which business organisations can rethink their management processes, accounting tools and reporting solutions, as they strive for both competitiveness and growth while contributing to the achievement of the SDGs, and long-term value creation more broadly. Based on the analysis of different case studies, the book explores how organizations are approaching these challenges and how they are connecting SDGs, to business models and strategies. Analysing the impact of SDGs on materiality, connectivity, and stakeholder engagement, this book provides an insight into how Integrated Thinking, Management and Reporting is currently practiced and in which way these managerial innovations can contribute to SDGs. 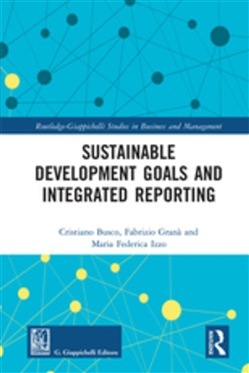 Acquista Sustainable Development Goals and Integrated Reporting in Epub: dopo aver letto l’ebook Sustainable Development Goals and Integrated Reporting di Cristiano Busco, Fabrizio Granà... ti invitiamo a lasciarci una Recensione qui sotto: sarà utile agli utenti che non abbiano ancora letto questo libro e che vogliano avere delle opinioni altrui. L’opinione su di un libro è molto soggettiva e per questo leggere eventuali recensioni negative non ci dovrà frenare dall’acquisto, anzi dovrà spingerci ad acquistare il libro in fretta per poter dire la nostra ed eventualmente smentire quanto commentato da altri, contribuendo ad arricchire più possibile i commenti e dare sempre più spunti di confronto al pubblico online.